The White House released the executive order Mr. Trump signed today creating a “commission on election integrity” — commencing the long awaited voter fraud investigation Trump promised after claiming baselessly that “millions” voted illegally in the 2016 election. Mr. Trump signed an executive order Thursday to establish a commission to investigate voter fraud. 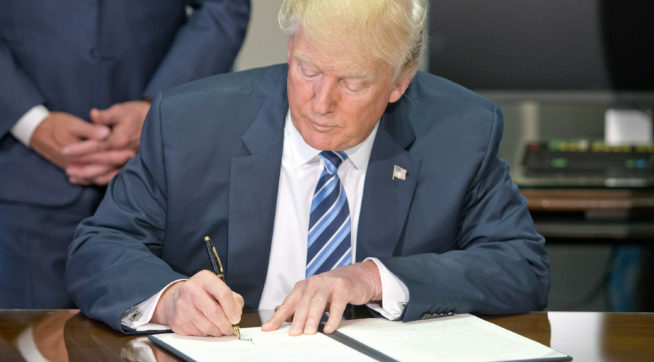 The signing comes months after Trump claimed he lost the popular vote because of voter fraud, claiming that between 3 million and 5 million people voted illegally in last year’s presidential election. The administration has come forward with no evidence to support this claim. The commission, which will be chaired by Vice President Mike Pence and have Kansas Secretary of State Kris Kobach (a Republican) as its vice chair, is directed to review policies and practices that enhance or undermine the American people’s confidence in the integrity of federal elections ― including improper registrations, improper voting, fraudulent registrations, fraudulent voting and voting suppression, according to the White House. However, the text of the order, which is formally called the Presidential Advisory Commission on Election Integrity, says it will study “laws, rules, policies, activities, strategies, and practices” relating to election processes. While the order does not specifically mention voter suppression or barriers to voting, the committee is formally tasked with investigating both voter fraud and suppression. Unfortunately, Kobach’s appointment sends a clear signal that while the stated purpose of the commission will be focused on combatting fraud, it is more likely that it will identify voting restrictions that will operate to suppress voting. 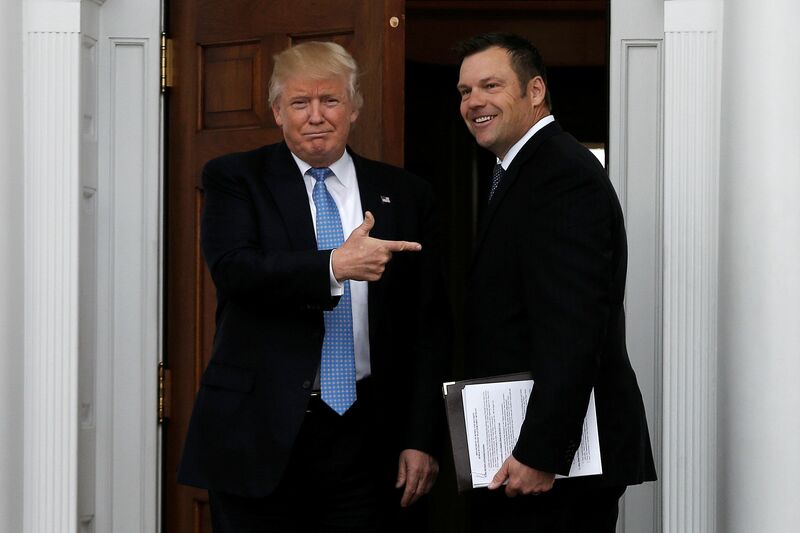 Mr. Kobach pushed one of the most restrictive voting laws in the country, which required Kansas residents to show proof of citizenship when they registered to vote and photo ID when they go to the polls. If residents could not prove properly provide proof of citizenship, they were placed on a “suspense list” for 90 days and then purged from the voter rolls. A report by the Kansas Advisory Committee to the U.S. Commission on Civil Rights found that the 2011 law “may have been written and implemented with improper, discriminatory intent.” In his testimony to the panel, Kobach said the only burden the photo ID requirement could possibly impose was the effort needed to reach for a wallet to pull out identification. Kobach’s voter fraud law has been challenged in court because the proof of citizenship requirement arguably created an unnecessary obstacle to voting and discouraged low-income, elderly and minority residents from voting. A federal appeals court blocked Kansas from implementing the proof of citizenship requirement. It is insulting that the new commission is headed by two champions of voter suppression ― Mike Pence and Kris Kobach. It is hard to believe that any “findings” of this commission headed by those individuals will do anything but condone and seek to justify voter suppression efforts. In short, the proposed committee is a sham. This entry was posted in Executive Order, Voter Fraud. Bookmark the permalink.